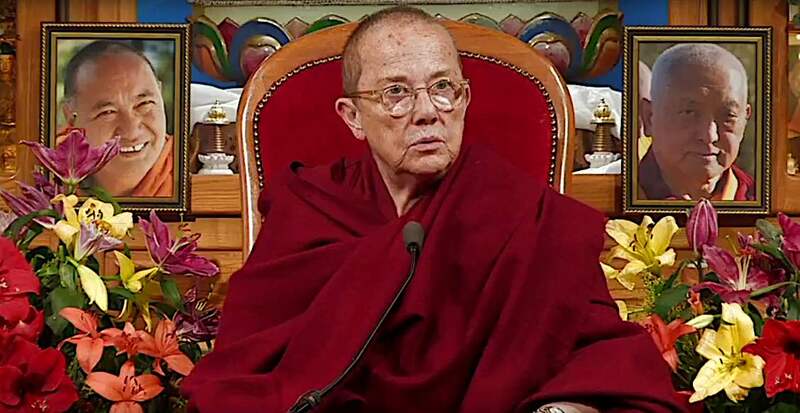 Venerable Robina Courtin known for her clarity and energetic teaching style, covers a broad range of important Buddhist topics in this short interview video with Buddha Weekly. [Full video and transcript below.] Here, she speaks about mind and happiness, karma and habits, and the importance of ethics, concentration and wisdom. Venerable Robina found 25 minutes in her busy schedule Buddha Weekly as she stoped over in Boston. We missed our opportunity when she was in Mexico, almost caught up to her in Nepal, and finally spoke to her in Boston. The interview was extraordinary — if marred by technical difficultes. We hope you’ll look past some sound diffulties — caused by internet noise from an ice/wind storm — and listen to this concise but profound interview with Venerable Robina Courtin. BW: You’re recorded as saying, “Happiness is the mind that is free from junk: clear, blissful, happy, and stable.” My question is, is that an achievable goal in today’s world and how can we achieve it? Venerable Robina: I mean that’s the Buddhist deal. I’m a Buddhist, so I’m buying into Buddhist views about reality and views about the mind. And even though we tend to think of Buddhism as spiritual, which is true, but actually Buddhist expertise is the mind. And that’s possibly surprising to us because we have these very mystical views about the Buddha, but actually, his expertise is the mind. He came out of this amazing Indian tradition, of these remarkable thinkers more than 3,000 years ago, who are the ones who actually mapped the mind on the basis of this extraordinary, skillful, psychological technique called single-pointed concentration, which the world vaguely knows as mindfulness. And actually, Buddha’s deal, Buddha’s point, is we have this phenomenal potential to unpack and unravel the contents of our mind and reconfigure it. And that essentially means getting rid of the neurosis, and ego, and fears, and dramas, which we totally believe at the core of our being and to be able to develop wisdom, and clarity, and happiness, and all the rest. This works pretty simple. That’s exactly what Buddhist deal is. That comes down to what Buddhism is. So of course it’s possible, that’s the point. BW: Wonderful. 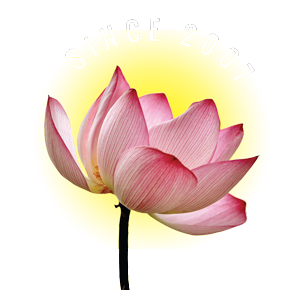 The other topic mentioned in the events is, “Undoing destructive habits through mind training”, that’s the theme of your first talk actually, ‘Staying sane in a crazy world’, which is very cool. Is that mind training, is that referring to Lojong? Venerable Robina: It is actually. Yes, exactly. It’s, in fact, a more advanced level of Buddhist psychology. And I think this is something again too that might surprise us, Derek. We learn music and mathematics and botany, we know it’s a gradual process. You start at grade one, you increase your knowledge and then you graduate. So I think we get confused about spiritual and think it’s a bit of a hippy, trippy, mystical thing where you cross your fingers and have some kind of experience. But actually, the Tibetan Buddhist approach, the Buddhist approach in general, it’s a gradual incremental development about this amazing potential of our mind. So the more advanced level … The very first level, Buddhist entry-level junior school for the Buddha actually is forget the mind. He’s simply telling us to do what our grandmother says which is behave nicely and essentially, exhorts us not to kill, not to lie, not to steal, not to have bad behavior, not to harm others. But his crucial reason of not harming isn’t the same as Jesus’s or the usual creator religions, the usual reason to not harm others. I have a Jesuit priest friend and I asked him, “By definition, what is a sin?” Well, he said, “By definition, it’s doing what God said not to do.” And I think that’s our view of morality in the world. My mother says don’t do that and I’m naughty because she said so, so whereas the Buddha’s view is more of a natural law. He’s simply like a doctor who advises us because he found from his own experience, and this is a point now, that whatever we think and do and say kind of programs us and brings its own results. We’re like our own creators. That’s how the Dalai Lama put it. 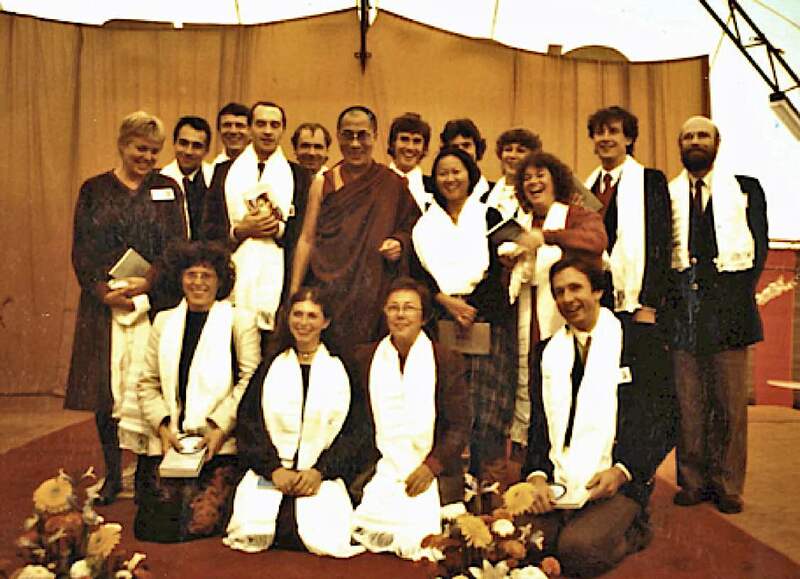 Dalai Lama (centre) with young Venerable Robina Courtin (first row, second from right). So then the very first level of practice, given Buddhist view that we’re driven by all these crazy delusions, we’re driven by ego grasping, attachment, anger, fears, jealousy, the stuff that we consider totally normal but what he says are really mental illness. Because we’re driven by that first, the very first level of practice for our own benefit is to not, at least, follow the crazy delusions. Our body and speech basically are like the servants of our crazy mind, so by first harnessing our physical and verbal energy, we start to develop some discipline and then some self-respect because these actions will cause us suffering, forget about how many others. Then, we got ability to go to the next level of practice which is … Well, as one of my teachers puts it, become your own therapist, which is really the job of being a Buddhist. As we already indicated before, where you learn single-pointed concentration, you learn Buddhist psychology and you learn to unpack and unravel your own mind and reconfigure it, and that really is the job of being a Buddhist. You begin to delight in problems. In the beginning stages, you got to avoid them because they make us crazy but now we’re so advanced, the logic is you attempt it where you greet problems with a happy mind and this puts atomic bombs under all the ridiculous delusions and makes us even a more marvelous, more courageous person. It’s something like that. BW: Absolutely. Great answer. The second event you’re running is called, “Karma, the ultimate life hack.” I was really interested in the language. Venerable Robina: The what? The karma of the what? What did they say? BW: As in computer hacking. BW: Oh, it wasn’t your language. Okay. Venerable Robina: I can imagine. But karma really … I think again so many times we make such clichés out of all these concepts because they’re ancient Indian and whatever, but it’s really if they’re valid tools, they should be very contemporary. So karma really is simply the Buddha’s own observation and indeed, it’s the observation of those before him, we mustn’t discount them, these geniuses that came before the Buddha. Due to their remarkable skill of developing their mind and single-pointed concentration, which implies access in the most subtle level of consciousness, and we don’t even posit as existing in our materialist models and this is why it’s such a very radically different view. With this subtle level of mind, we can get complete control over our minds, number one, and number two, to really do the job of achieving our own liberation. One of the consequences of this is much more wisdom. We see the past, we see the future. That’s the capability of the mind at the subtle level. So all these teachings about karma, they’re not revelation which is a typical view about religion. They’re not coming from on high somewhere, the whole teachings about karma is that Buddha has observed that this is a natural law that runs the universe. It’s not like some big stick that we use to beat ourselves up with. This is how we think of bad and good, as some kind of moralistic punishment, reward system. There’s no punisher in Buddhism, there’s no rewarder in Buddhism. Buddha says we create our own happiness, our own suffering. And so, the moral of karma is this natural law that Buddha’s observed within which the universe runs. And so, he relates it to happiness and suffering and essentially he says that suffering is the result of past programming about our own mind of negativity and happiness is the result of past programming of positivity, speaking simply. And so, it’s the law that a Buddhist — if they’re trying to be a decent Buddhist — you’re trying to abide by the laws of karma. Not kill, not lie, not steal, not create future suffering for yourself basically and then you become your own therapist and you learn to radically change your mind. 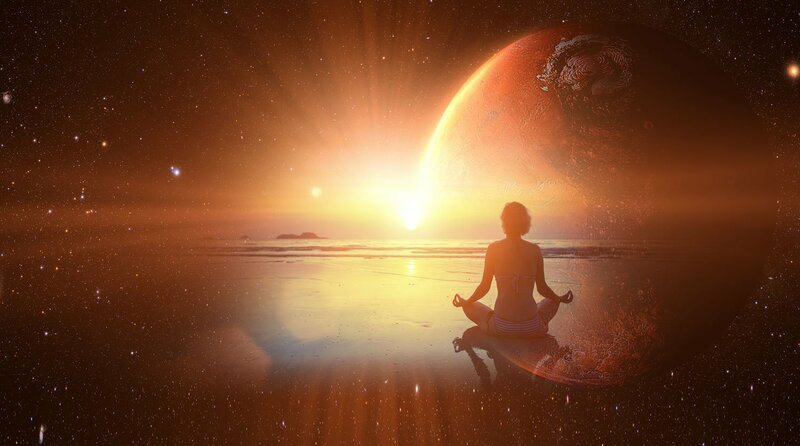 That’s only creating virtuous karma, thus only creating your future happiness and eventually your own Nirvana. So it’s this natural law that’s the real point, that runs the universe. And it’s a surprise to us because we tend to think life is a big surprise. In the materialist view certainly, we didn’t ask to get born, it’s not our fault, Mommy and Daddy made us. Life is good life and bad life, which is kind of very nihilistic really. The Christian view is, of course, God made the universe. He’s got the laws and he runs the show, and that’s okay too. But the Buddhist one is we run it, so we better learn these laws so we can live according to them, so we can create happiness and stop suffering and therefore, help others. 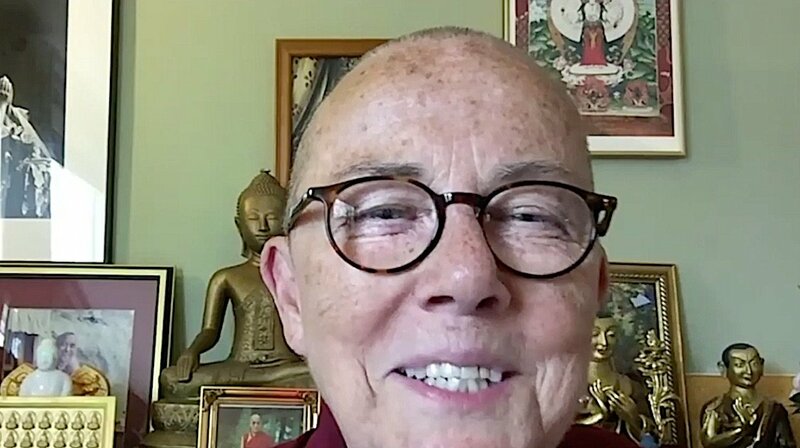 An interview with Venerable Robina Courtin, a Buddha Weekly video. BW: When the topic of karma comes up, often rebirth is associated with it and that becomes a difficult topic for some Western students. How do you approach that topic? Venerable Robina: So I think the interesting point is, we’re so addicted to misery, as soon we hear about karma, we hear just punishment. We’ve got to analyze and we’ve got to be intelligent. We got to be grown up and open our minds to listen to Buddha’s views; he’s a very sophisticated thinker. We don’t think like that. And because we have an assumption of morality being someone else punishing us, we extrapolate and use that view but that’s no good, you’re mistaken. In Buddhism, there is no such concept of punishment and reward because there’s no creator. There’s no concept of a punisher and a rewarder, but we have to give some thinking to it so we can hear this intelligently instead of leaping in emotionally. It’s only why do bad things happen because we tend to take the good for granted. We sort of see it out there as coming in its own side as good luck and bad luck where Buddhist says there’s a logic to it all and the logic starts in our own reality, because we’re not created by somebody else, we’re not someone else’s victim. 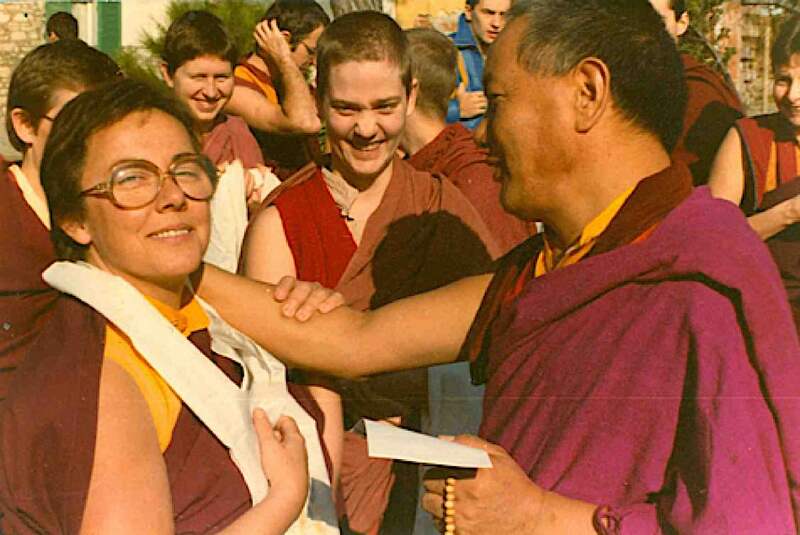 Lama Yeshe (right) with his student Venerable Robina Courtin. So it takes a bit of thinking about it to unpack it but we’re intelligent, we can do, we just have to want to that’s all. Karma’s a natural law that runs the universe. It’s not like a thing or a big stick that you use. Happiness is the fruit of our past positive programming and suffering is a fruit of our past negative programming. So demand to take responsibility to hear this first. Whereas, we tend to think of suffering is something that somebody else causes and, “It’s not fair. I don’t deserve it.” But happiness is also something that we think someone else causes and we don’t care if we don’t deserve it, we just want more praise. So we’ve really got to look at our assumptions and really break it down very carefully. That’s what the Buddhist approach demands and we’re intelligent and we can do it but we have to try, if we want to. 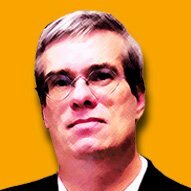 BW In that talk, are you going to be talking about methods as well? Methods to life hack, I guess you could say. Venerable Robina: Well, the methods are like all methods. If you want to study, if you want to play the piano, you just don’t leap onto the piano, do you? You’ve got to learn some theories first, don’t you? And if you want to learn mathematics, you just can’t start writing sums with your pencil, you’ve got to learn the theories. Well, surprisingly, Buddhism is the same. It’s a vast world view actually, so the methods start with learning, comprehending Buddhist views about emptiness, about happiness, about suffering, about impermanence, about karma. Learning these things theoretically and then gradually, we can figure in our mind because the practice is in the mind. The theories are in the mind but so is the practice. So we have to learn to reconfigure our way of understanding ourselves and the world, and then apply those in day-to-day life. That’s what practice is. And then you can enhance that practice, the day-to-day practice, with learning single-pointed concentration so you can learn to focus your mind at a deeper level, so we can do that job of being our own therapist. 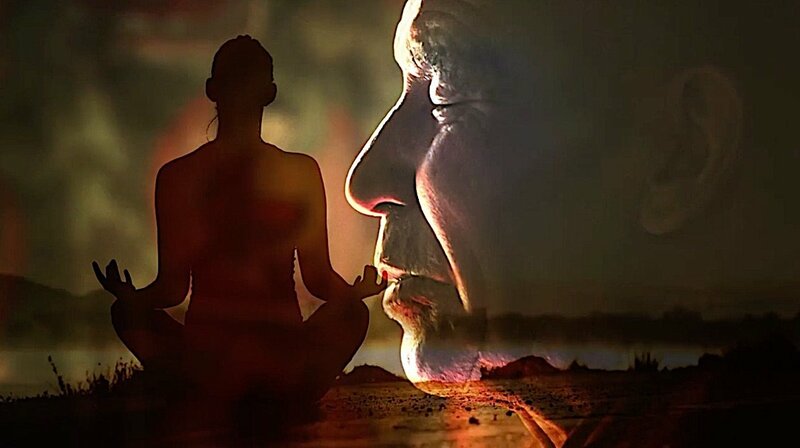 As Lama Yeshe puts it, “In a much more powerful, sophisticated way.” That’s the function of meditation. Sometimes I think we seem to think that being a Buddhist means you sit down with your eyes closed and something mystical happens. I’m not being cynical but there’s far more to it than that. Do you know? BW: Well, speaking of practice, the big weekend for you is on the three higher trainings. Can you, for our readers and viewers, give us a high-level view of the three precious trainings and the summary of what you plan to cover? Venerable Robina: Well, there’s a nice analogy in Buddhism that a bird needs two wings. It’s the Mahayana view. We need wisdom and we need compassion. So the compassion wing, if you like, is the point. That’s where you put your money where your mouth is and you help others. This is the bottom line. Whether you call yourself a Hinayanist, Mahayanist, I don’t care. The bottom line is if you want to help others with health, you learn your wisdom first, you learn acupuncture, you learn medicine, then you can help others. Well, here, the wisdom we use, putting together your own self based upon Buddhist view about karma and the mind and how it functions, which is the nuts and bolts of being a Buddhist. Virtuous acts of compassion exemplify the Buddha’s Eightfold Path. 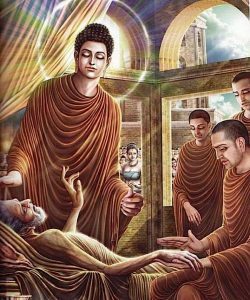 Here, Buddha helps a sick monk. On the basis of this, you transform yourself into this marvelous person. Less neurotic, less miserable, more accountable, more kind and then you’re able to get out there and help others on the compassion wing. 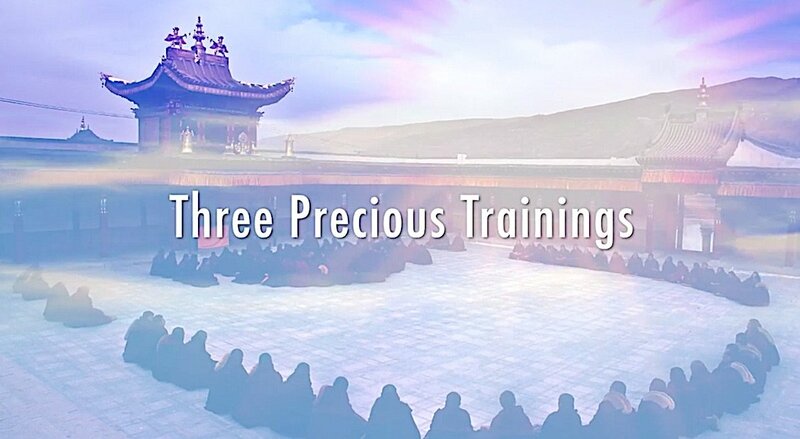 Well, the three higher trainings is another way of presenting the wisdom wing really. 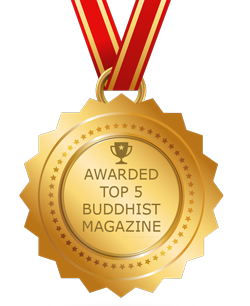 The third is the insight into how things exist and this is Buddha’s fundamental deal. He went through this amazing system with all those Indians at that time and then he diverged in his own direction, in particular, in relation to his own findings, his own direct experiential findings about the nature of self that all these amazing Indians before him were investigating. Well, he suggested he went further so that’s where now Buddhism exists and it relates indirectly with his own particular findings about the nature of self. And this is where all the wisdom teachings about so called Emtiness and Dependent Arising come in. 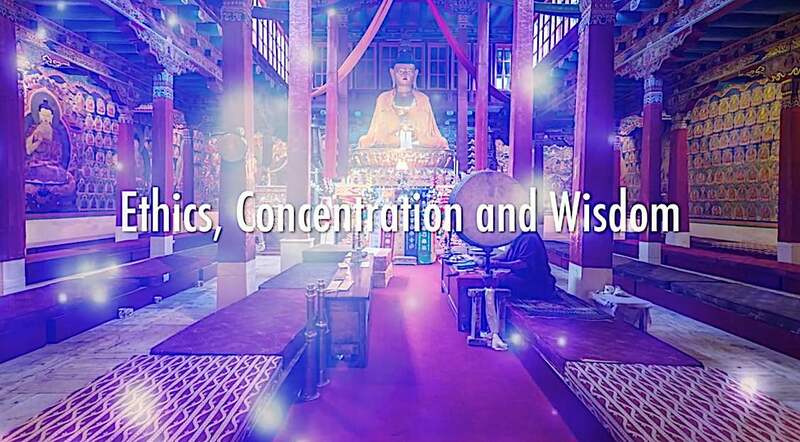 That’s the result, that’s the third of the three higher trainings where in order to understand wisdom, you got to have the second one which is development of single-pointed concentration. This amazing technique, sophisticated psychological skill called single-pointed concentration. Samatha as we know, calm binding or the development of this marvelous samadhi, the single-pointed concentration, first developed by these amazing Indians more than 3,000 years ago. The Buddhists then used and still continues to use. Single pointed concentration is central to the second of the Three Precious Trainings. But in order to have single-pointed concentration which is so extraordinary, you’ve got to have the first of the three which is the first stages of practice, which is essentially the practice of good ethics. Controlling your body, controlling your speech, controlling your mind. So in a way, the entire Buddhist path is one way of packaging the entire Buddhist path. BW: It’s a workshop, so are you going to alternate between teachings and meditations? 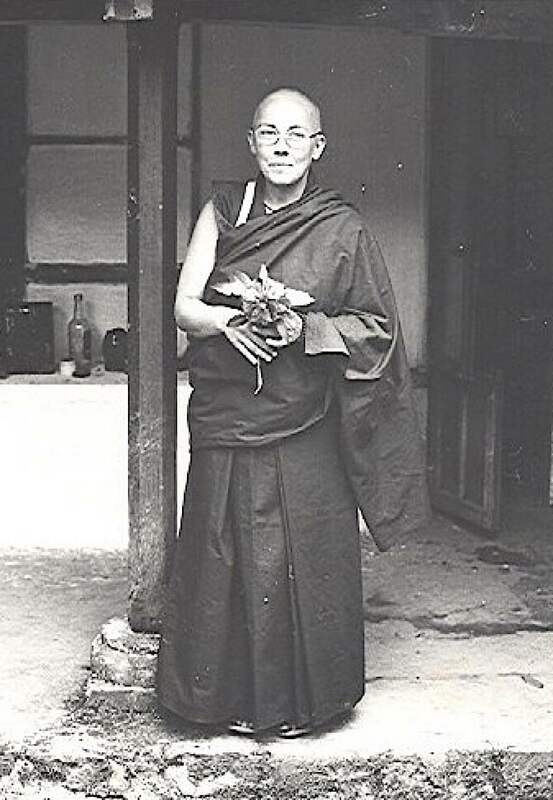 Venerable Robina: The two way I tend to do, whether it’s a retreat, depends. But usually it’s talking about these things and then I open it up to discussion. We have lots of discussion and then we have some meditations as well, and then discussions after the class. 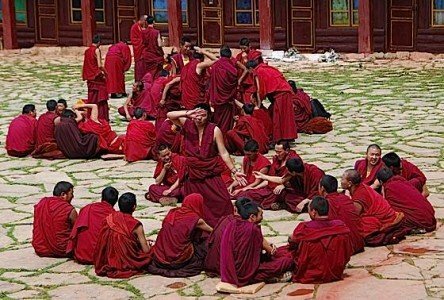 I know when I first studied Buddhist philosophy and psychology with my philosophy teacher back in the late ’70s, he’d always say … This is based on the Tibetan Buddhist Monastic University system. Debate and discussion are critical to development in Buddhist practice. Here, monks traditionally debate. He’d always say that 25% of what you get is when you listen but then 75% is what you get from what they call debate, which is really what we call discussion. Unpacking and unraveling it, working it out internally so that we can then go and really get to meditate on it, so it’s this gradual process. Lama Tsongkhapa talks about the wisdom that comes from listening, the wisdom that comes from thinking and contemplating and then the wisdom that comes finally from meditating, so it’s this gradual process. BW: The workshop’s open to anyone, isn’t it? Venerable Robina: Yes, for sure. Venerable Robina: Anybody. Also, I don’t mind, people can come for just the morning, just the afternoon, whatever they like. I’m very open to that. VenerableRobina: Being Buddhist. Okay, sure, I’ll tell. Well, I’m Australian. I was born in 1944. So I was part of a Catholic family, many kids, Mom went to a Catholic Convent. And I think as this tiny kid, I loved going to mass, I thought it was my job to be the priest. I was very religious, also my childhood. But I never talked about it to my seven siblings, I just, sort of was my own private world. I read about the saints. But I wasn’t holy looking, I was really the naughtiest person among these kids you could find, but it was my internal world. I always want to understand the meaning of things and why happiness and why suffering. And then I think when I was 15, I remember it was kind of a cathartic moment when I … My mother was a classical musician and she never let us listen to rock and roll or anything. It was in the ’50s, I remember hearing some black American music and that kind of blew my mind and opened me up to kind of … My spiritual became more kind of social involving black music and that was just a way of opening my mind to the world and to suffering. Then, I was brought up in 1950s, white Melbourne. And so then I think by the time I was 19, it was time to say hello boys and good-bye God and it was kind of hippy time. Then I went to London, sort of continued to study classical singing but I ended up giving that up and becoming this revolutionary. So I went through this process for about eight years, the first radical left hippy, then radical left politics, black politics and then feminist politics. And then I think it was this constant process of me trying to understand the world, about having a framework for seeing what the world is and why, the way it works. I never went the scientific way, it was always kind of the activist. So I think by the time I was about 30, 31, I then kind of exhausted all options of who to blame for the world, I sort of joke like that, and wanted something spiritual again. And I find particularly, the Tibetan Buddhist, while I like the philosophical approach but what I say, out of my life, I liked the devotion as well. And I find in this system, it suits me. It’s a combination of both the devotional, the heart and also the philosophical, the psychology, so I found it very appealing for me. So, that’s my job now to talk about it. Part of the process, the last 40 years being a Buddhist, that I’d work with editing and publishing for about 10 years. I always worked with Wisdom Publications. And then teaching for 25 years now but also working 15 years running a non-profit, helping people in prison in America and Australia. That was a very moving experience. And we continue to edit books as well, that’s my job on the side. That’s the essence of it. BW: And you’ve been a nun for how long? Since when? Venerable Robina: 40 years. 40 years. I’m now 73 or 74 and since about … A bit more than 40 actually, must be 41 or 42 years now. I forget. BW: And are you still involved with Wisdom Publications? Venerable Robina: Yeah, I edit books. I’ve just got a book of Lama Yeshe’s. 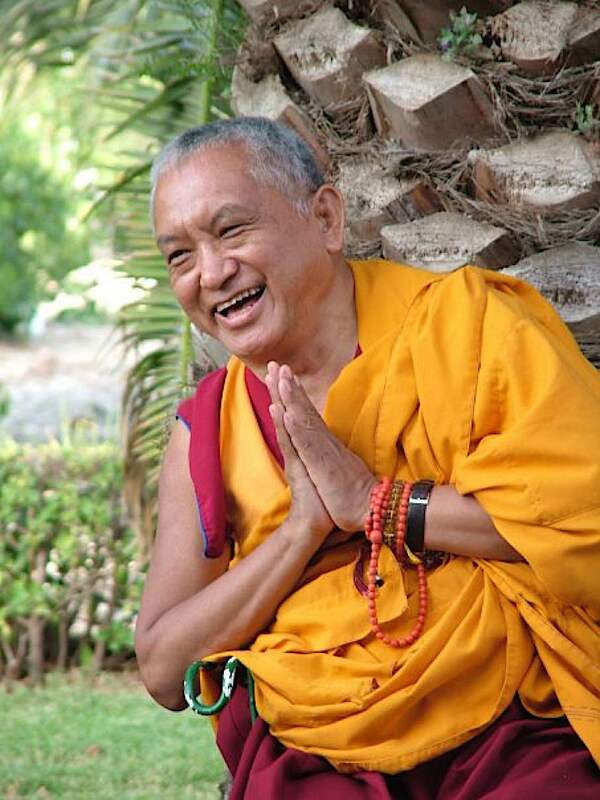 Lama Zopa’s, I did a couple of years ago about how to help at the time of death, and one I just finished editing that Wisdom will put out in October is a book on Mahamudra. Beautiful teachings of Mahamudra by Lama Yeshe. Very delicious, very experiential, very sweet. BW: When’s that coming out? BW: thank you so much. Venerable Robina: Happy to talk to you, Derek. Thank you so much. BW: I’ll hopefully talk to you again. Thank you very much. Video Advice from the Buddhist Teachers on Bereavement: Advice for Someone Dealing with the Loss of a Loved One.